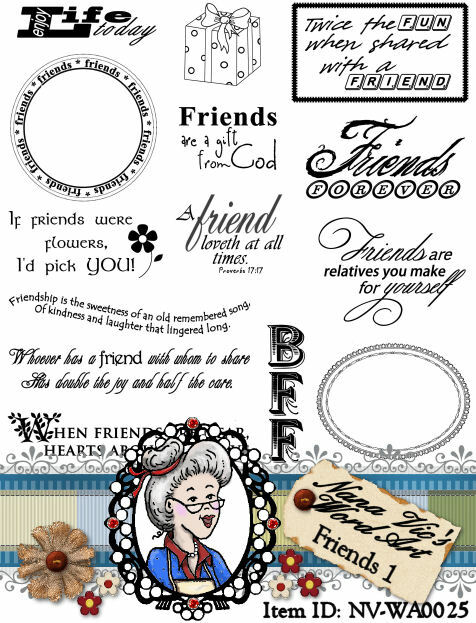 Description: 12 sentiments make up this word art sheet especially designed around our friends. There's plenty to choice from, with a beautiful bible proverb, through to the lighter side of your friendship BFF (Best Friends Forever). 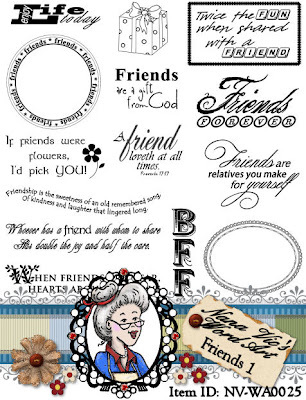 Bonus digitals are a little gift box and an oval frame.